on Basic & Pro Combo! Also known as "Spondylogenic Reflex Therapy", SRT for Massage is available to both Massage Therapists and Nurses. How Do I Become an SRT Provider? 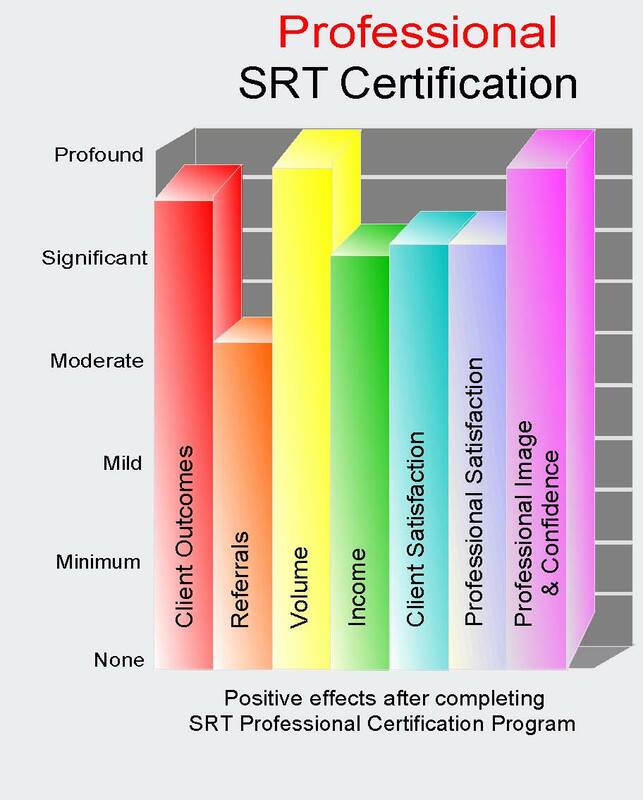 The SRT Provider Certification Package are all-inclusive training systems in an easy to learn, easy to use GPS style mapping solution that guides you all the way to maximum massage outcomes for the toughest of cases using the least amount of stress on your body. 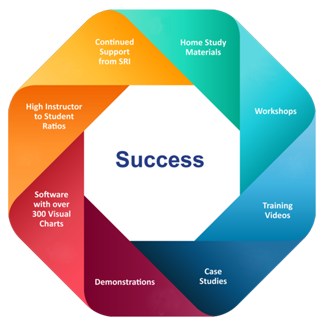 They are the only Certification Programs that provide a complete fingertip touch software app, an infrared thermometer scanning device and SRT Certification Provider Listing at no cost. You only pay for your educational CECs. There are no other educational providers in the profession who deliver the highest return on your investment in one low-cost package! Imagine Being Able To . . .
SRT Assessment and Treatment respects the body’s natural, hard wired defense systems and its ability to activate a wide array of torso, neck and extremity muscles as a means to address a threat or attack from behind. Neurology defines this process as a "reflex". Your spine produces a set of defensive reflexes known in neurophysiology as "withdrawal reflexes." When you do not see, hear or smell a threat coming from behind you, your spine will respond faster than your brain to the threat or stimulus. Reflexes that originate from the spinal facet joints (not discs) are called “spondylogenic reflexes” (spondylo=vertebra, genic=origin) or reflexes that originate from the spine proper.. When a spondylogenic reflex gets “stuck on” due to overstretch in tendons and ligaments, tears or underlying muscle weakness in and around the capsular ligaments of a spinal facet joint, it will hijack the nervous system and cause pain and multiple muscles to shorten indefinitely, or until corrected. When a spondylogenic reflex stays activated, we call it a “spondylogenic reflex syndrome“ (SRS). Spondylogenic reflex syndromes are responsible for a tremendous amount of pain and suffering and its global prevalence is rising rapidly as each generation is becoming weaker in spinal and whole body muscle strength than the last generation. Combined with poor dietary, lifestyle and work habits, there is a continues increase in the prevalence of this rapidly expanding pathology. When properly Trained and Certified through Spinal Reflex Institute, Intl., any one of the 28 pairs of spondylogenic reflexes can be located in approximately 30 seconds with SRT procedures. SRT can the be applied immediately to effectively treat a given muscle pattern over the following 15-45 minutes. The cumulative effect of treatment is a significant reduction in pain, spasms, stiffness, joint tracking error, motion dysfunction, stress, anxiety and fatigue in multiple areas of the body. SRT causes a system wide change in health and function. After just one week, SRT has yielded fantastic results.